Universal 1/4 inch tripod Mount. Fits any universal binoculars to any universal tripod. This is an ideal adapter for attaching binoculars to a tripod for hands-free use and steady viewing. 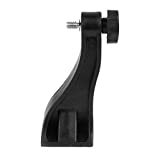 -Universal 1/4 inch tripod Mount. -Fits any universal binoculars to any universal tripod. 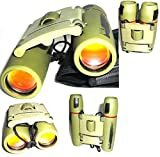 -This is an ideal adapter for attaching binoculars to a tripod for hands-free use and steady viewing.